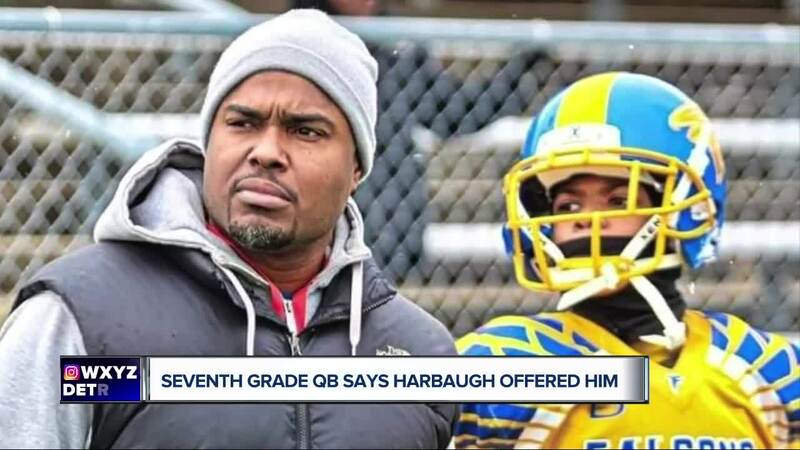 Seventh grader Isaiah Marshall says Jim Harbaugh offered him a scholarship to play at Michigan. Marshall plays for the Southfield Falcons, a local team that competes nationally. His father, Brian Marshall, played at Brother Rice and Northwestern. He would graduate high school in 2024. Check out some of his highlights the WXYZ report below.